An earthquake is the result from the sudden release of stored energy in the Earth's crust that creates seismic waves. At the Earth's surface, earthquakes may manifest themselves by a shaking or displacement of the ground and sometimes cause tsunamis, which may lead to loss of life and destruction of property. An earthquake is caused by tectonic plates getting stuck and putting a strain on the ground. The strain becomes so great that rocks give way by fault planes breaking. 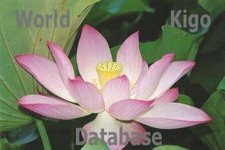 We have one kigo to remember a great earthquake. 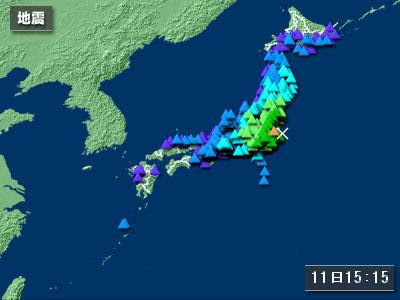 The 1923 Great Kantō earthquake (関東大震災, Kantō daishinsai) struck the Kantō plain on the Japanese main island of Honshū at 11:58:44 am JST on September 1, 1923. Varied accounts hold that the duration of the earthquake was between 4 and 10 minutes. Casualty estimates range from about 100,000 to 142,000 deaths, the latter figure including approximately 40,000 who went missing and were presumed dead. Damages from this natural disaster were the greatest sustained by Prewar Japan. 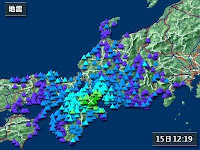 In 1960, government of Japan declared September 1, the anniversary of the quake, as an annual "Disaster Prevention Day." 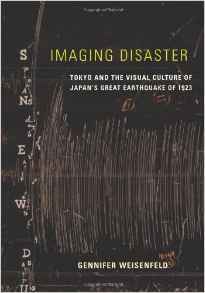 Focusing on one landmark catastrophic event in the history of an emerging modern nation—the Great Kanto Earthquake that devastated Tokyo and surrounding areas in 1923—this fascinating volume examines the history of the visual production of the disaster. The Kanto earthquake triggered cultural responses that ran the gamut from voyeuristic and macabre thrill to the romantic sublime, media spectacle to sacred space, mournful commemoration to emancipatory euphoria, and national solidarity to racist vigilantism and sociopolitical critique. Looking at photography, cinema, painting, postcards, sketching, urban planning, and even scientific visualizations, Weisenfeld demonstrates how visual culture has powerfully mediated the evolving historical understanding of this major national disaster, ultimately enfolding mourning and memory into modernization. It was also known as the Wenchuan earthquake (Chinese: 汶川大地震), after the earthquake's epicenter in Wenchuan County in Sichuan province. The government announced Saturday May 24 that the death toll could rise past 80,000, and the Health Ministry has reported that 300,000 people had been injured. About half of the 59,394 who need hospital treatment had been discharged as of Wednesday, the ministry said, leaving many wards in hard-hit Sichuan province overcrowded. Long convoys of ambulances can be seen on highways leading out of the quake zone. A giant catfish (namazu) lived in mud beneath the earth. The catfish liked to play pranks and could only be restrained by Kashima,a god who protected the Japanese people from earthquakes. So long as Kashima kept a mighty rock with magical powers over the catfish, the earth was still. But when he relaxed his guard, the catfish thrashed about, causing earthquakes. Patrick Wafula has been out and about during the earthquake in July 2007! I captured this peaceful scene while driving around in a friend's car. American geological experts have downplayed chances of recent tremors in Kenya and Tanzania leading to a major earthquake. At the same time, the Kenya Government moved to calm fears that have spread especially in Nairobi that an earthquake was likely. ... the series of quakes that have shook the region since Saturday may not necessarily culminate into a major earthquake disaster. Gutsy Radish (Dokonjo Daikon) and haiku.
. Bojo Toshiki 坊城俊樹 . Gabi Greve, April 15, 2007 ! a mild tremor has occured. Ramadan ~ "La illaha il Allaha"
School No. 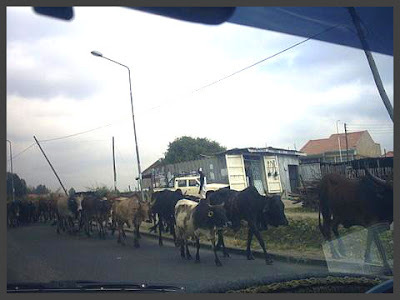 39, Constanta, Romania. Honorable Mention, Nicholas A. Virgilio Memorial Haiku Competition, 1993, sponsored by the Haiku Society of America.
. Earthquake in Kumamoto, April 15, 2016 . Japanese legends and tales 伝説　民話　昔話 - Introduction . For the past week, Nairobi has been experiencing earthquakes every day, apparently originating in Lake Natron across the border in Tanzania, and leading to some volcanic activity there. If any haijin in Kenya has written a haiku about the earthquakes of the past week, please let us read them and be with you in spirit at this time. Wishing you a peaceful week-end!